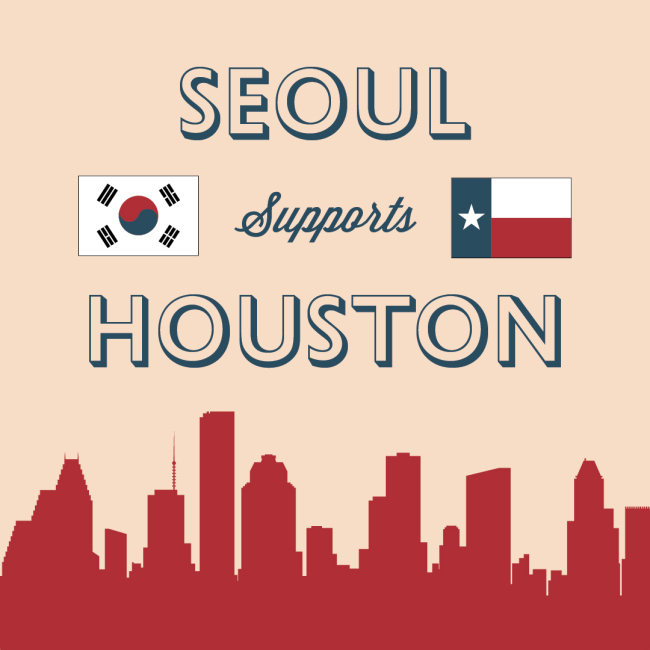 The owner of Itaewon cocktail joint Southside Parlor will launch a fundraising campaign Monday to raise money to help victims of Hurricane Harvey. Robbie Nguyen hails from Houston, which was directly hit by the storm, and his family was among those forced to evacuate. The funds raised will go to help his family and support organizations helping deal with the hurricane’s fallout. The campaign will be kicked off with a launch event at Southside Parlor, which will coincide with the start of a social media drive to encourage online donations. For Monday’s launch, Nguyen secured donations from local businesses and his bar will be selling food drinks including brisket and pulled pork tacos using meat from Manimal and Linus Barbecue, Magpie beers, and Moscow mules using vodka donated from Tito’s, a Texan brand of craft vodka. Half of the money raised will be donated to The Houston Food Bank and Map International, two organizations working to help Hurricane Harvey has access to food and medicine. The other half of the money raised will go Nguyen’s family, whose home was badly damaged by the storm and needs extensive repairs. Possessions including furniture and cars were also badly damaged and some of the money will go toward a rental car to tide them over. “It is hard to be so far away from family in times like this and we all wish we could be there, helping everyone who’s been affected. But the best way to help from abroad is to send monetary assistance, so we decided to set up this fund to jumpstart the process of making my childhood home a livable space again,” Nguyen said on the fund-raising page.